The Grammy Award winning and World-renowned Brass Band out of New Orleans is headlining the SLO Jazz Festival. The Grammy Award​ winning NOLA soundtrack straight from the streets of ​ Treme. Rebirth has several cameos on the hit HBO series Treme​, as well as many soundtrack contributions. 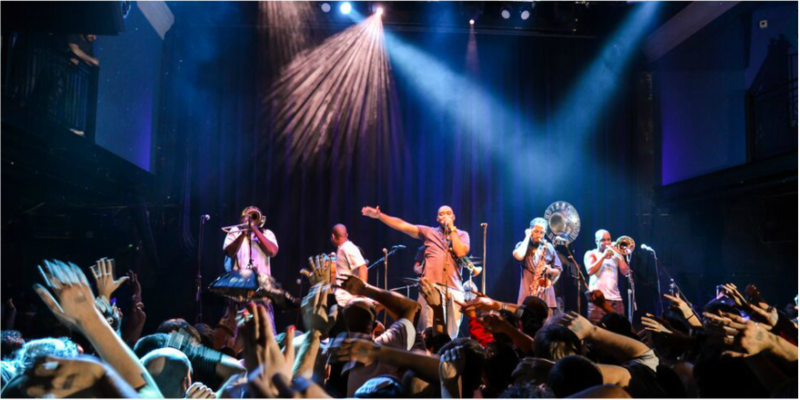 Rebirth Brass Band has shared the stage with Red Hot Chili Peppers, The Grateful Dead, The Meters, The P​ Funk All​ Stars, Maceo Parker, Dr. John, The Ohio Players, Ani DiFranco. * Tickets are on sale now at all Vallitix locations, Boo Boo Records, and 1-888-825-5484.